Midnight Bamboo Crate Beverage Dispensers - Cal-Mil Plastic Products Inc. Creating a new twist on the classic bamboo beverage dispenser, the midnight bamboo crate adds a level of rusticity to any food presentation. 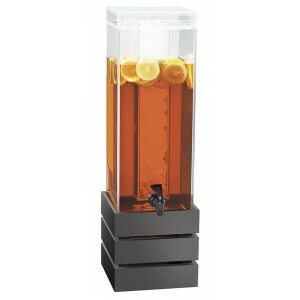 The classic look of this dispenser is available with both an ice chamber or infusion chamber to create delicious and unique beverages.